Inspire dapper looks with this t-shirt from Nush. 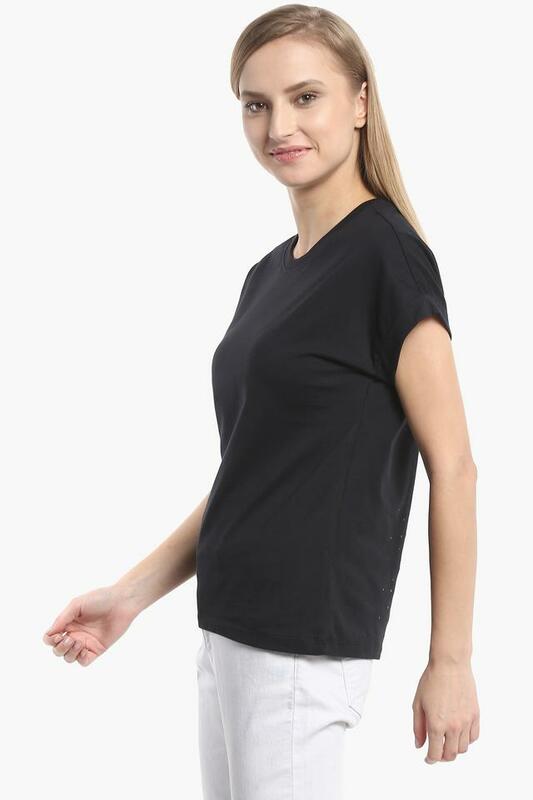 Made of cotton fabric, this t-shirt is also extremely soft against the skin. 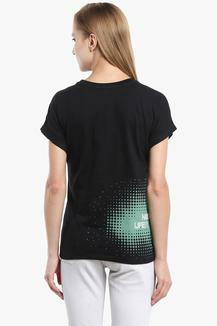 Featuring a round neck, short sleeves and solid pattern, this t-shirt boasts of enticing urbanity. Flaunt your chic look with this t-shirt. 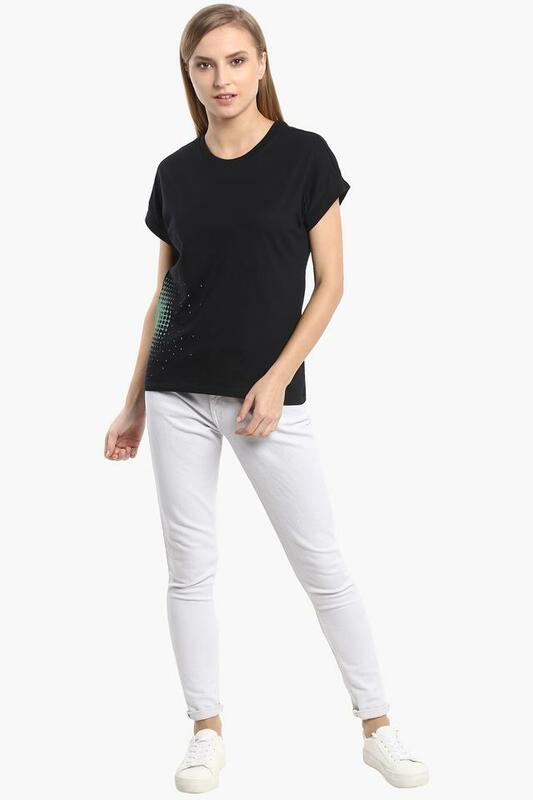 Team this t-shirt with a pair of denims and heels for a stylish look.